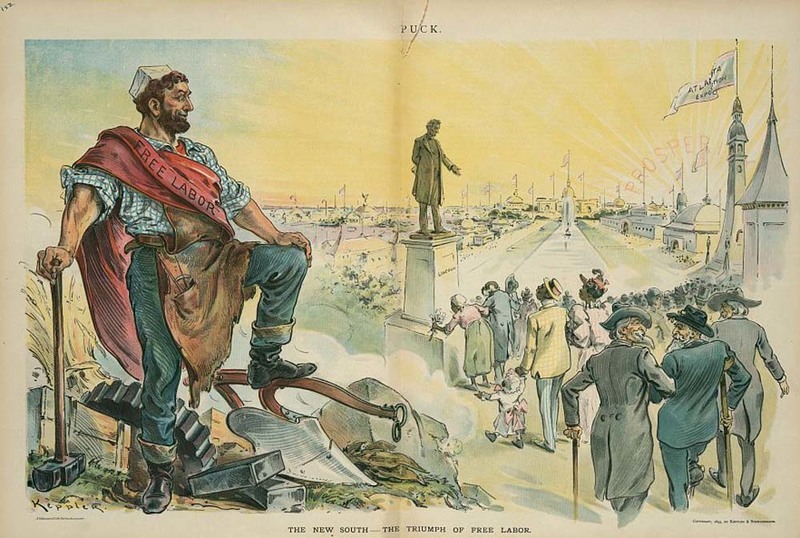 "The New South - The Triumph of Free Labor," published by Keppler & Schwarzmann, October 23, 1895, courtesy of the Library of Congress, Prints and Photograph Division. The idea of building a new cotton factory in Charleston started to gather steam in early 1880. The world economy had developed a seemingly bottomless appetite for cotton, and it became, as Sven Beckert points out in Empire of Cotton, the driving force of capitalism in the late nineteenth century. The concept of the “New South,” a catchphrase popularized by Atlanta’s Henry Grady in the 1880s, was that the region should put the Civil War behind it and focus on building industry for the future. Though Grady nodded to freed slaves and their descendants as a part of that future, he emphasized white prosperity, both in his original speech and in the movement that followed. The idea was that a rising economic tide would lift all boats, and that both races would benefit from a shift to industrialization. The News and Courier argued in 1881 that despite the failure of Charleston’s first cotton factory—which lasted only five years, from 1847 to 1852—a new textile mill was needed. The second cotton factory would give work to hundreds of poor women and children still suffering from brutal poverty in the wake of the Civil War—all white, of course. In South Carolina, as in the rest of the South, textile jobs were understood to be reserved for white workers. 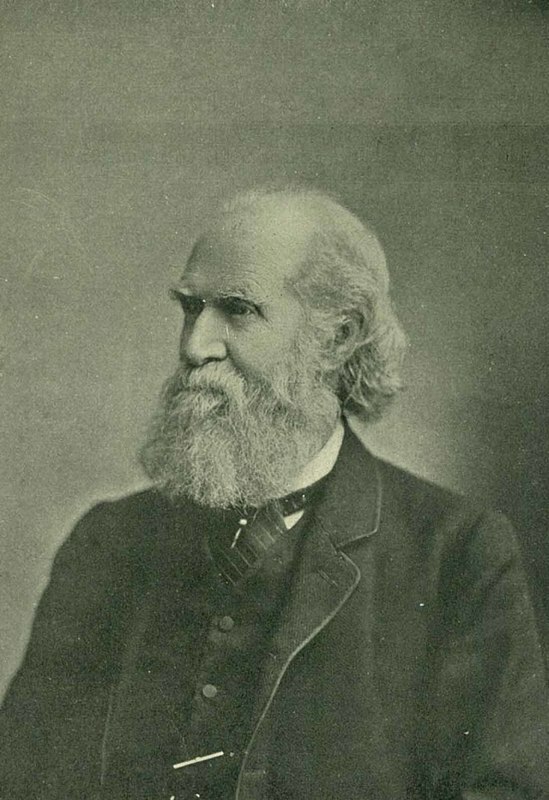 Image of George W. Williams, published in “History of Banking in South Carolina” by George W. Williams, 1900, courtesy of the College of Charleston Special Collections. In 1881, banker George W. Williams led a group of investors to form the Charleston Manufacturing Company, which financed the creation of a new cotton mill in Charleston. The financial backers of the project touted the benefits of building a factory in Charleston, a major trans-Atlantic seaport. Raw cotton was coming into the port all year long, so the costs of shipping would be lower. The city’s established infrastructure would mean there was no need to build housing, schools, or churches for the workers, as companies did in the mill villages of South Carolina’s Upstate. Most important of all, wages were much lower in the South than in the more industrialized North, and, as the company’s annual report for 1881 bluntly stated, “the hours of labor are longer.” Charleston seemed like the ideal location for a cotton factory. The investors also planned to take advantage of modern technological advancements. Most of the older textile mills in South Carolina’s Upstate ran on waterpower, using energy generated by running streams. The machinery in the Charleston factory would be steam-powered, fueled by boilers heated by imported coal. This technology was more dependable and better suited to the voracious energy consumption of large mechanized spinning and weaving operations. With these enticing arguments for investment, the entire $500,000 worth of stock required to build the city’s new cotton mill was sold within seven months. Charlestonians controlled more than three-fifths of the shares.